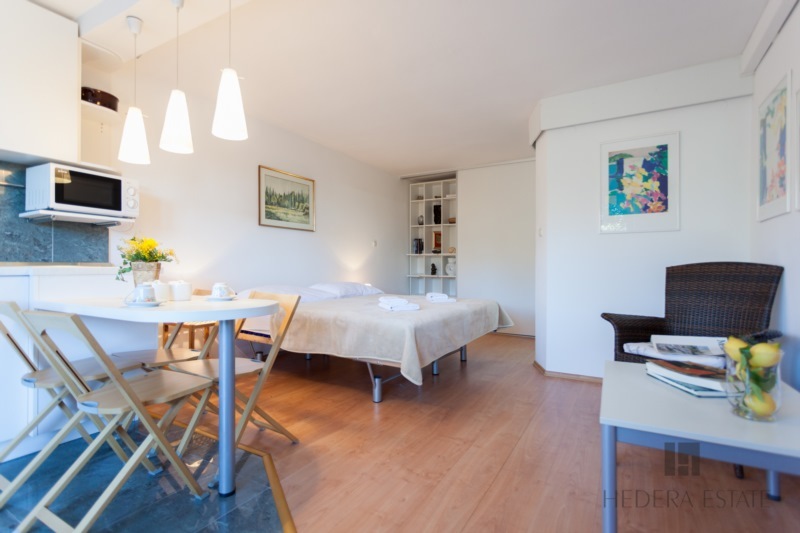 Lovely Studio apartment set in a relaxing green environment is ideal for 2 people who wish to be near beautiful beaches and many attractions. 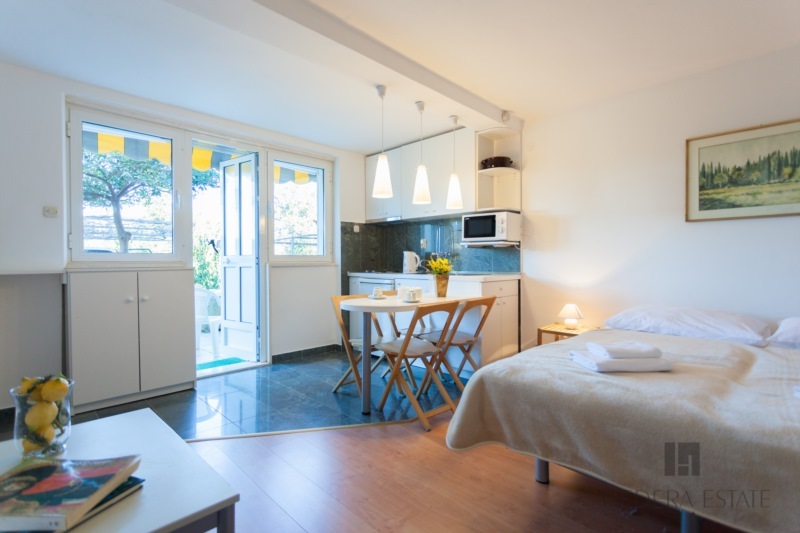 The studio is conveniently located close to bus stop, shops, restaurants and the Bay of Lapad presenting the nicest beaches in the area. 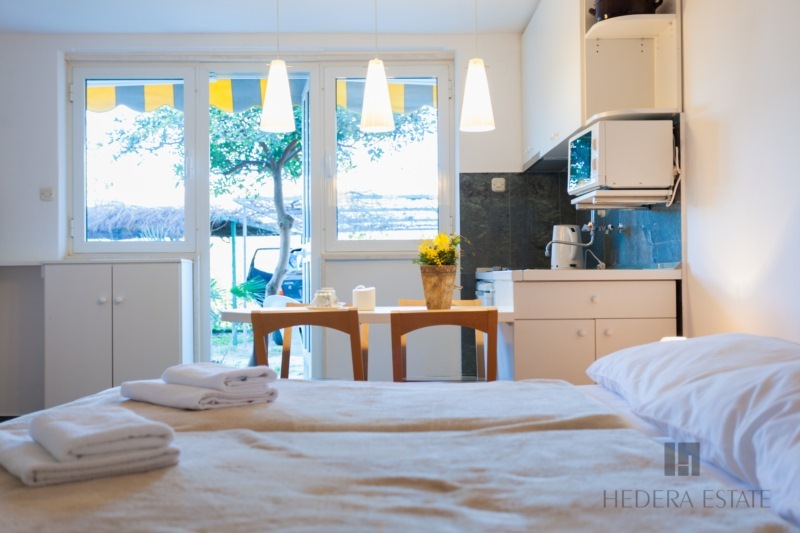 Hedera Studio 6 features a combined kitchen /dining/double or twin bed, bathroom with shower, and a kitchenette with microwave, fridge, kettle, toaster and electric stove. 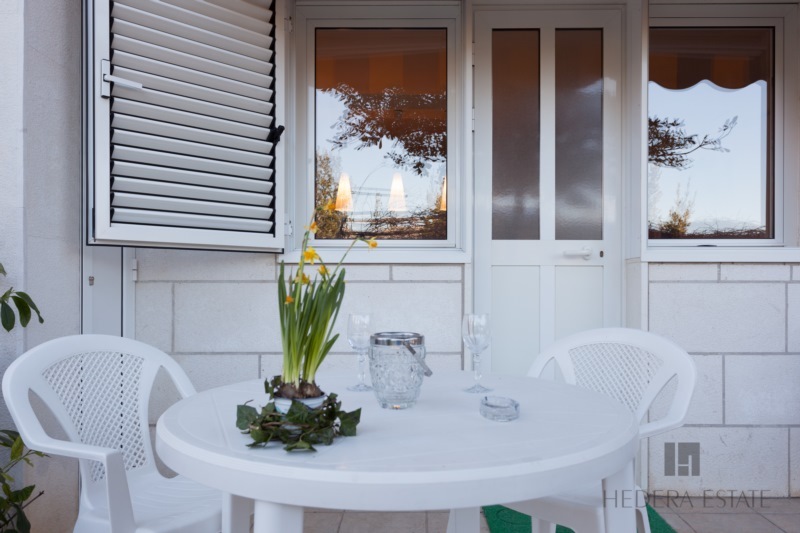 The small terrace in front offers a tranquil and pleasant environment. Private covered parking is available on site. 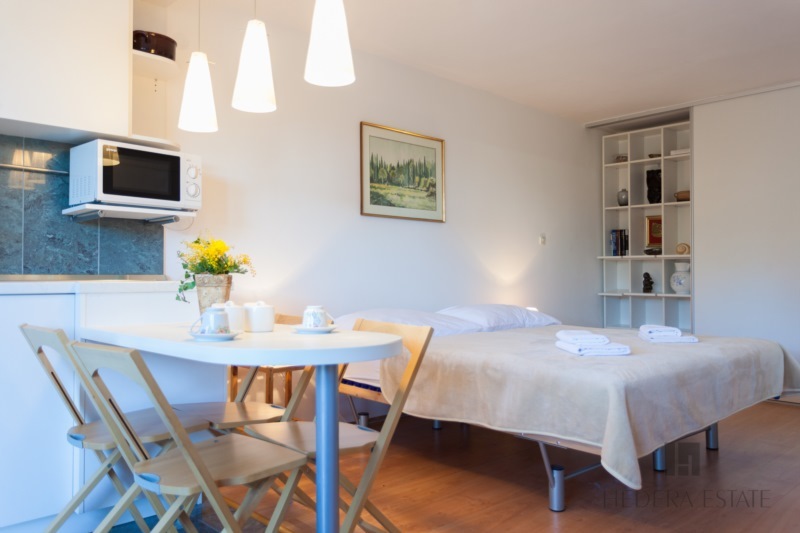 Amenities include A/C, free Wi-Fi, cable tv, LCD TV, Iron/ Ironing board, kitchenette, hair dryer and one parking place. Lapad promenade with bars, restaurants, beaches (sand and pebble) and number of water sport activities such as jet-ski, para-sailing and a diving club is 10 minutes walk from the studio, nearest supermarket and restaurant are 300 meters away. Old Town Dubrovnik is 3 kilometers away, bus stop is 3 minutes walk from apartment and buses run frequently in high season. 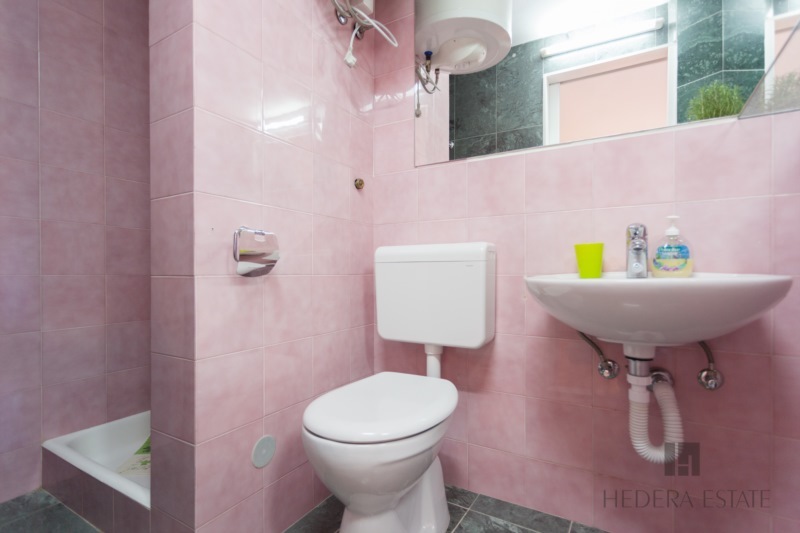 It can be combined with Studio 4, Hedera A57 and A58 - around 150 meters away. Combination of all these properties sleeps up to 13 guests. 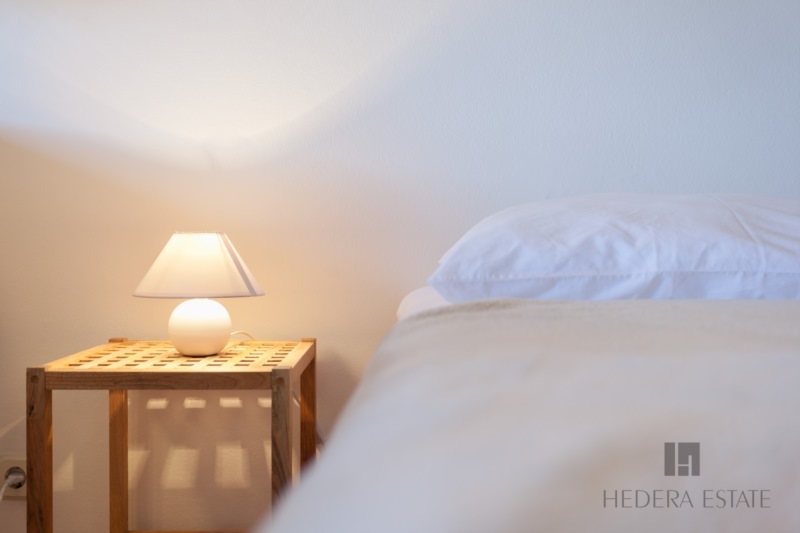 Hedera Studio 6 sleeps 2 guests. 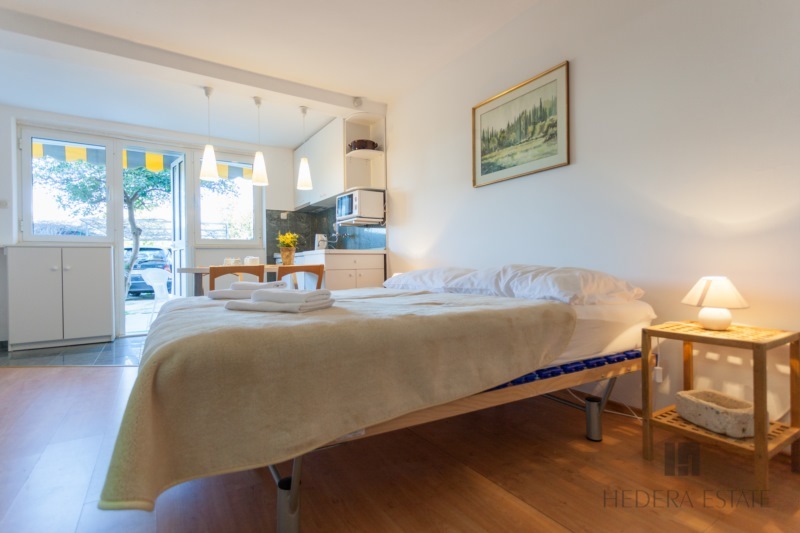 Lovely Studio apartment set in a relaxing green environment is ideal for 2 people who wish to be near beautiful beaches and many attractions. 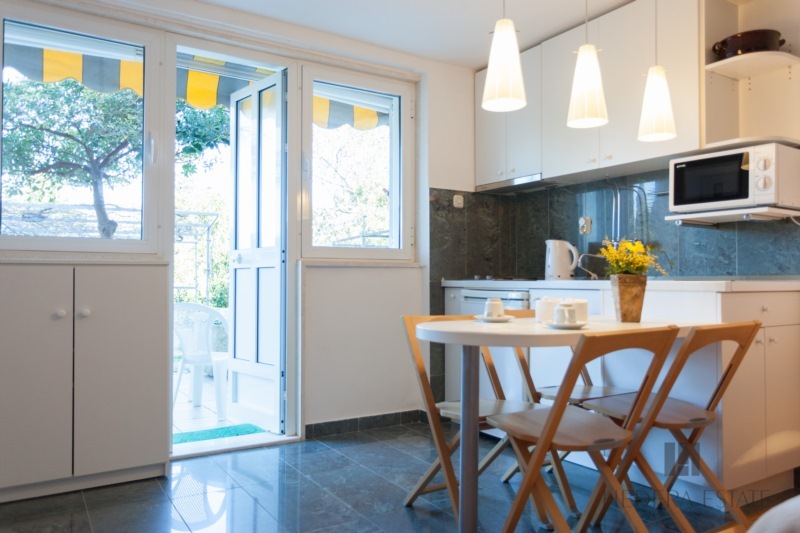 The studio is conveniently located close to bus stop, shops, restaurants and the Bay of Lapad presenting the nicest beaches in the area. 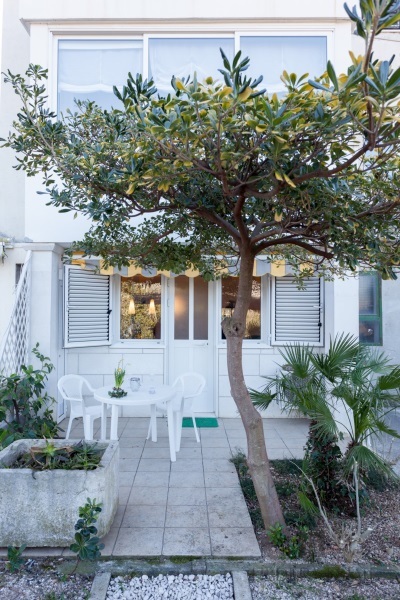 Read more... .
Lovely place to stay a bit out from the old town but easily accessible with a bus that runs often. Everything was clean and there were good amenities. Host was easy to communicate with and gave us lots of suggestions on places to to eat. Thanks for a great stay! Loved this place! We organised airport pick up with them, and from then on it was all smooth sailing. Got taken to their office to pick up keys. They let us check-in, even though we were 2 hours early. 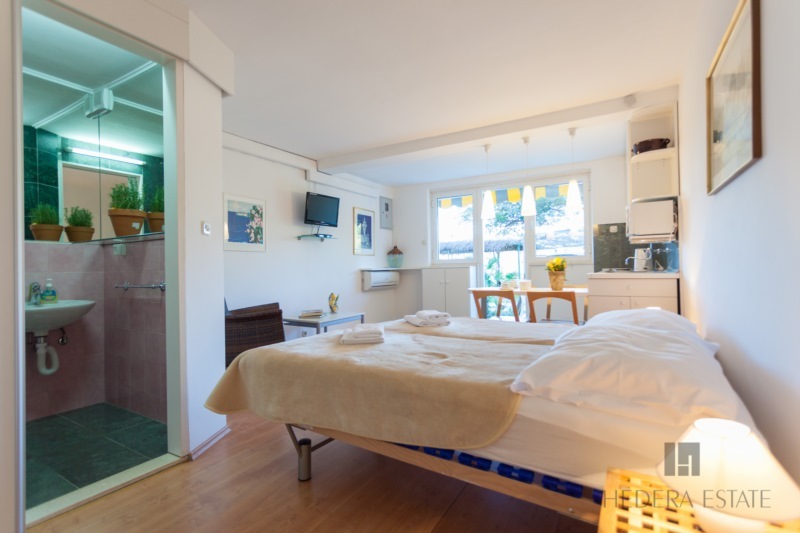 The studio is small, but has everything you need - a comfy bed, a nice shower, a fairly well equipped kitchen and a small terrace outside. Even had some local cats visiting the terrace, which is nice for animal lovers!